At Busy Bees Chingford, the children and staff all enjoyed having an Elephants Tea Party! We blew up lots of balloons and decorated the central area. We then set up all of the tables in the central area, so all of the age groups can enjoy their tea together. For tea the children had yummy sandwiches, carrot sticks and tortilla chips with dip! Whilst eating, we provided background music for the children to listen to. 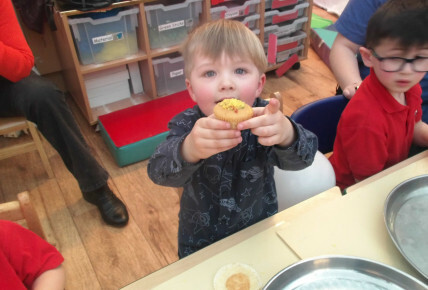 After the children had eaten, they got creative and decorated cakes. They had a choice out of multiple colour icings and sprinkles, which allowed them to have their own choice. 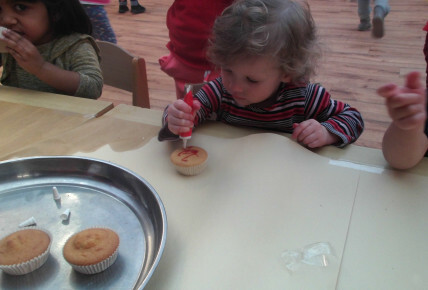 Vinnie (1-2 years), squeezed the icing tube as hard as he could and said “Help” to one of the staff members. The staff member helped Vinnie squeeze his icing which satisfied him very much. Phoebe was very confident when squeezing her icing, she moved the tube up and down as the icing was falling out. Hisham loved sprinkling his sprinkles on the cake, he shook the tub of sprinkles and watched as they fell onto the cake, making a colourful pattern. During the week, we also had a cake sale! 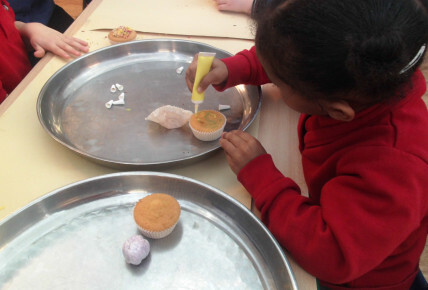 The staff members all made and decorated their own cakes using a Easter theme. When parents come to collect their children, we had a cake sale stand full of various cakes for them to purchase. 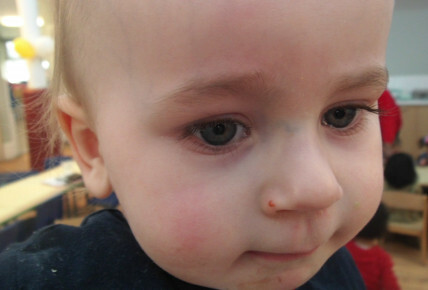 What is Child Bereavement UK? Signposting to other organisations which can offer further support.